According to The Incentive Research Foundation, U.S. businesses are currently spending over $100 billion annually on incentive programs. These incentive programs range from employee recognition to consumer promotions. When implemented properly, incentive programs have the power to influence behaviors desirable to a business. In many cases, an incentive is awarded in the form or a non-reloadable Mastercard® or Visa® prepaid card. Promotional giveaways at events, concerts, conferences, etc. Trackable, Visible, and Controllable – ability to know when cards have been received and activated; ability to disable cards if necessary. Eliminate Paper Check – managing paper checks is painful and costly; even in this digital age there are still plenty of paper checks being used to disburse rebates and promotional awards. Branding Reinforcement – as subtle as it may seem – having your corporate logo on the award reinforces to the end recipient the brand with which they have chosen to engage. Prepaid cards also benefit recipients: they enjoy the freedom to choose their reward based on preference. Prepaid cards are accepted at millions of locations worldwide. Recipients can purchase groceries, book vacations, take the family out to dinner, or a variety of other uses. That is – if the recipient actually receives and uses those prepaid cards. WHAT IS PREPAID CARD BREAKAGE? Within the context of prepaid incentive cards, breakage is the money loaded onto a card but not used by the card recipient by the time the card expires. The card can no longer be used for purchases at expiration even through the funds are still in the account. In the incentives industry, vendors will often take this unspent breakage as fee revenue. Breakage varies by program, but typically range between 8% to as high as 30%. For example, in a program with $1,000,000 loaded onto cards, there may be $80,000 to $300,000 that never gets used. AS A MANAGER OF CORPORATE / CONSUMER INCENTIVE PROGRAMS, WHY SHOULD YOU CARE? 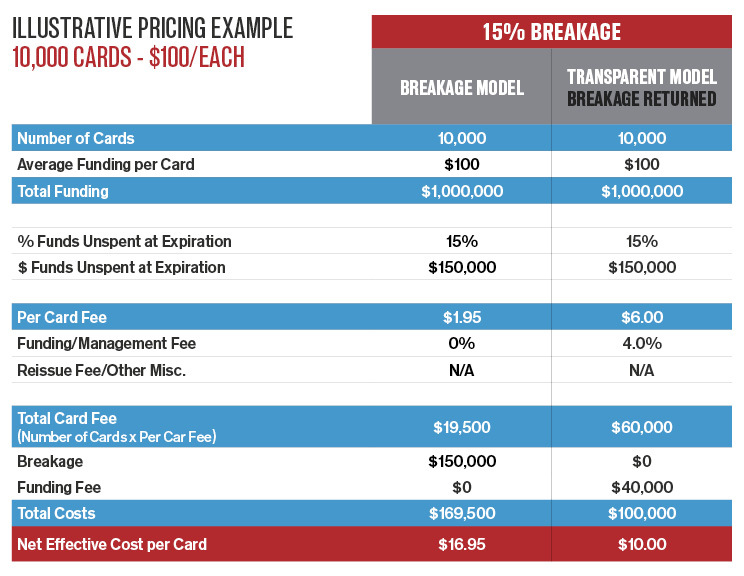 There are several ways to view breakage in the context of an incentive card program. The primary objective of any incentive program is to drive, incentivize, and reward certain behaviors. When an incentive vendor relies on breakage as the primary source of program revenue, it creates a conflict of interest. The vendor is financially incentivized to minimize the use of the rewards given out to recipients. A real life example. My wife bought a set of tires and received a $75 rebate prepaid card. She was saving it for a specific purchase but did not pay attention to the expiration date. It expired, and she called the number of the card to asked for a replacement card. They took a hard line and said no. She was frustrated, and guess where she directed that frustration towards? The tire brand (she has no clue who the card vendor was). The brand lost a customer, and my wife lost what she wanted to buy with that card. The only winner from this situation is the card vendor who pocketed the $75 as revenue. Whose interest did the card vendor serve? A card vendor has said to me: “So what? The consumer already bought the [product] so companies don’t care”. I completely disagree, and I believe most companies that care about their brand would disagree. With incentive prepaid cards, spend and card usage are measures of engagement. In other words – these vendors are better off financially if the incentive program drives LESS engagement. Think about that. Whether consciously or subconsciously, the vendor will manage the program towards less reward usage and engagement because they are financially incentivized to do so. Often, a vendor will bid on an incentive program with a low upfront per card fee, knowing that they will be able to keep breakage as revenue. Clients and buyers who do not know or understand breakage often do not understand the economic model with which incentive services vendors operate. Incentive services companies are not charities – they do not work for free. So the question is whether the incentive program administrators are asking the right questions, and whether the incentive vendor is being transparent. As an illustrative / simplified example, table 1 below outlines a typical scenario for an incentive / consumer promotion program (10K cards @ $100 each equating to $1MM in prepaid card funding). In this illustrative example, vendors may offer a low $1.95 per card fee but pocket the 15% in unspent funds as revenue when cards expire. Effectively, a corporate client is paying 69% higher effective card fees. Yes, the vendor is “making a bet” and the breakage rate of unspent funds is not guaranteed. Vendors are taking a risk, and arguably have a right to be compensated for that risk, but 69% higher? And furthermore – the more they (even if subconsciously) depress usage and engagement, the vendor can drive up their profits. 1. 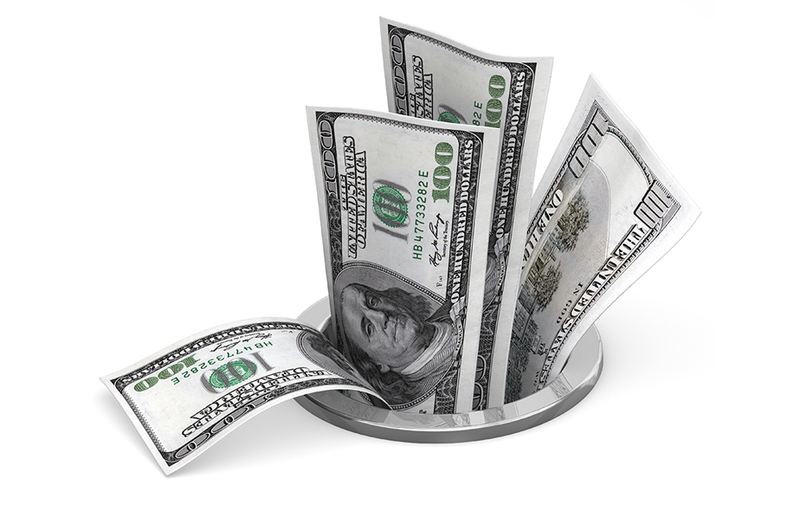 How does the vendor treat unspent funds / breakage? What is the real net effective cost? 2. If you are designing your incentive program to maximize engagement, does it make any sense to design a program where the vendor is financially incentivized to drive down engagement? You can also email us at info@jnrcorp.com with any questions.